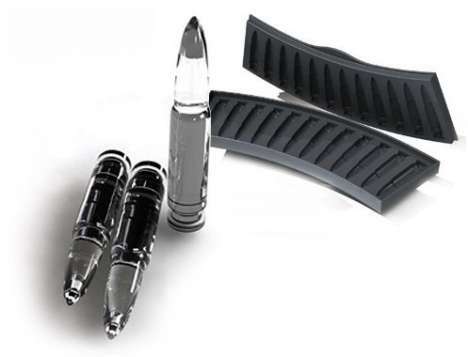 Check out these killer ice cubes in the shape of bullets. This is an absolute must for a James Bond party. Posted on December 1, 2009 by Party Planning Addict	• This entry was posted in Uncategorized. Bookmark the permalink. I want these! So cool.